Welcome to our gardens. 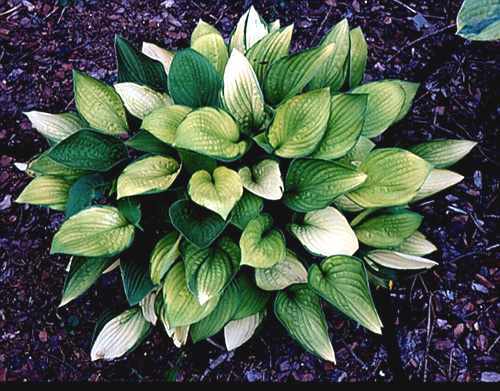 We are a family-owned nursery specializing in hostas, daylilies and other perennials. We are situated in the central part of Slovakia – member of EU since 2004. 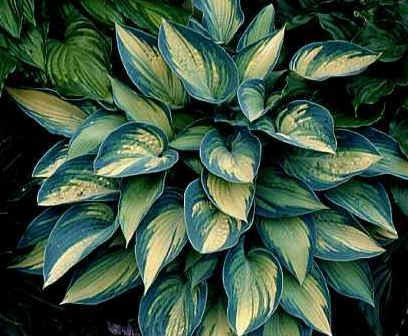 Dana started HOSTA Garden in 2004. She lost their job in 2002 and sche was solving the problem how to get another one until 2004. There was no chance to get adequate employ in our area in that time, so she started thinking to create our own business. Because of both of us are garden’s and flower’s lovers her final decision was soon clear. 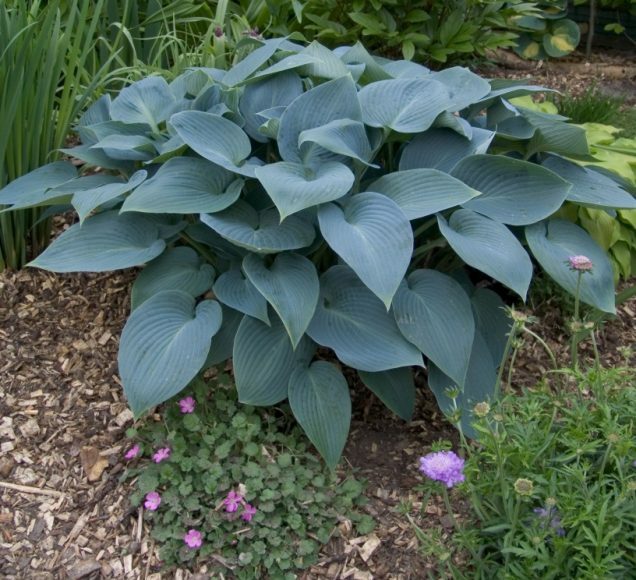 She has started to operate small mail-order nursery specializing on hostas and daylilies. There was more than 250 cultivars in our private collection in that time. 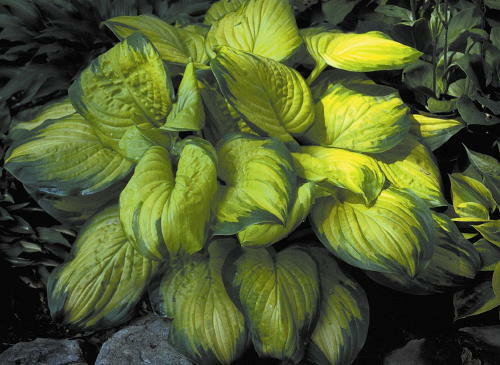 In 2014 Dana start to sell plants throught new webpage and under new trade mark www.eurohosta.com. Her plane is to reach gardeners and garden lowers not only in Slovakia, but also in otherl European countries. We can speak English and German so feel free to contact us for details by email. We wish all of you a blessed year and growing season. HOSTA Garden is very glad to provide best service for your. 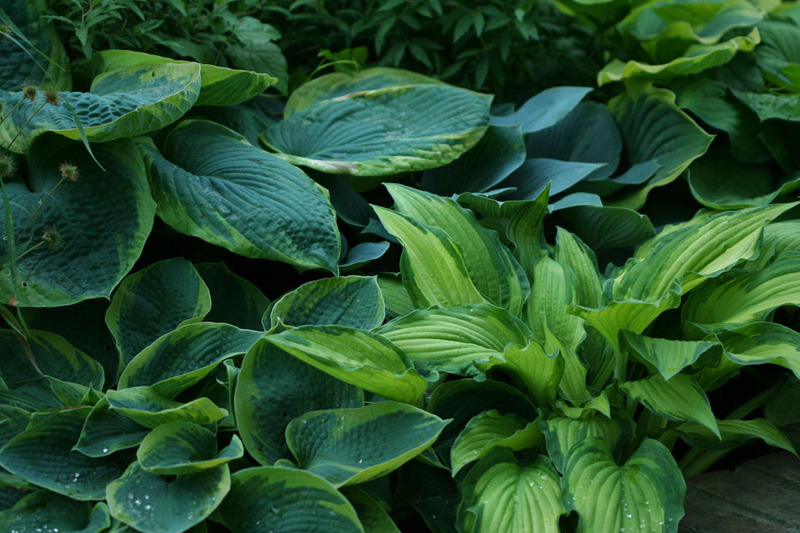 Make your garden different from anyone else in your neighborhood! How much I will pay for delivery? To each order we will add 3,32 Eur for package and postage - based on the actual shipping prices of the GLS. We calculate 8 plants per 1 kg of parcel. Hemerocallis Night Embers. 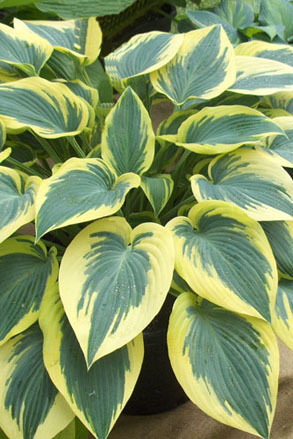 Large 5 inch double blooms that are cherry red in color and with a striking yellow - white edge on semi-evergreen foliage.